International co-production between Germany, France, Poland, Italy, Russia, Canada, and Turkey. 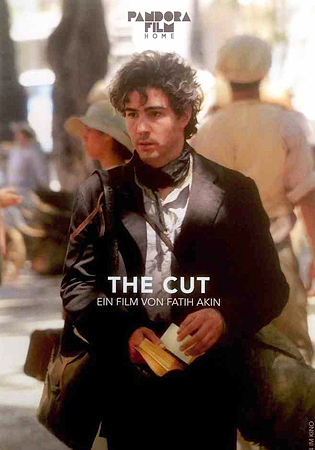 "The Cut" is the third part of Fatih Akin's trilogy. Following a story of love (Head On, 2004) and death (The Edge of Heaven, 2007), The Cut examines the subject of evil and the devil. The main protagonist is Nazareth Manoogian (Tahar Rahim), a blacksmith who survived genocide and was separated from his family. Years later, he learns that his twin daughters are alive, and sets out to find them.The film is an epic drama, adventure film, and western all in one. It addresses the issues of innate evil, about the type of evil we should never bring upon others, and about the power of love and hope that seems incomprehensible.